Operation Christmas Child packing parties are great opportunities to invite your family, friends, and neighbors to hear the life-saving message of Jesus Christ through My Hope America, a series of evangelistic videos designed to be shared in personal relationships. As you gather to prepare gifts for children in need, take time to share why you pack shoeboxes. Let this be a natural springboard to sharing God’s work in your own life. Following your testimony, present the Gospel by showing “Heaven,” a message from Dr. Billy Graham. For more information and resources about My Hope America, visit myhopewithbillygraham.org. We’ve heard countless stories about how God is using Billy Graham’s message, “Heaven”, to bring people to a relationship with Him through Jesus Christ. 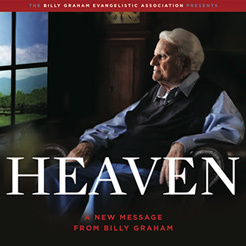 Share your story of how “Heaven” has impacted you and your loved ones at the Billy Graham Evangelical Association.